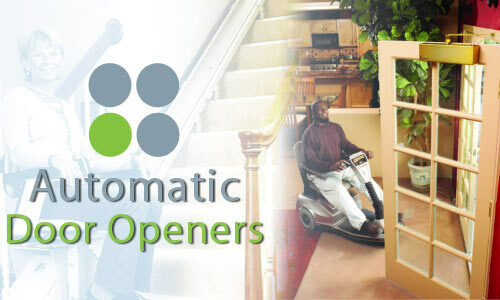 At the touch of a button, the Open Sesame automatic door opener gives complete independence to enter and exit a building. 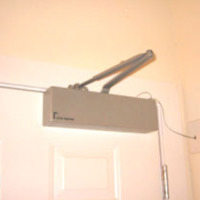 This professional grade disabled access system unlatches a locked door, then opens, pauses and closes automatically. 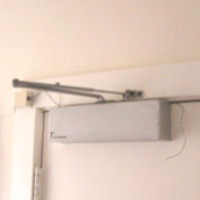 This package will release and open a locked (or unlocked) door, pause for entrance or exit, close automatically, and then return the door to its locked position. 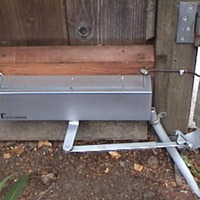 The package will enable the door to be pushed open and closed without having to touch the door knob. For example, a person in wheelchair can unlock the door and enter by pushing the door with his/her chair.